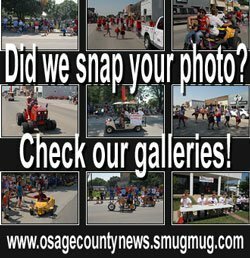 OSAGE CITY, Kan. – Marjorie Louise Hunsicker, 101, went to be with the Lord on March 22, 2019, at Osage Nursing Center, Osage City, Kan. Marjorie Louise Jones was born Feb. 10, 1918, in Great Falls, Mont., the daughter of Clement Ira and Helen Margaret (Davis) Jones. She graduated from Paseo High School, Kansas City, Mo. She was joined in marriage to Noble Edward Hunsicker on June 29, 1940, in Kansas City, Mo. To this union five children were born, David, Dean, Darrell, Diane and Dallas. She was a homemaker and a mother. Her husband, Noble, was a Kansas City, Mo., police officer for 13 years and then later worked for the Santa Fe Railroad until he retired. 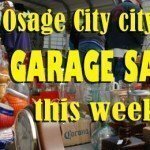 In 1976, she and her husband moved to Osage City. Marjorie began working with the Child Evangelism Fellowship in Kansas City and was a teacher for more than 40 years, beginning with her children when they were four and five years old in many other Bible clubs. She is preceded in death by her husband, Noble, in 1989; two sons, David and Darrell; a brother, Richard Jones; and a grandchild, Christian Matthew Crousore. Marjorie will be forever remembered by her daughter, Diane Tebbetts, Emporia, Kan.; two sons, Dallas Hunsicker, Osage City, and Dean Hunsicker, Fenton, Mo. ; and five grandchildren and five great-grandchildren. Mrs. Hunsicker donated her body to science. A memorial service will be held at 1 p.m. Saturday, April 20, at VanArsdale Funeral Chapel in Osage City. 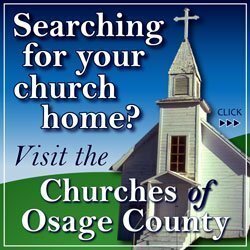 In lieu of flowers, the family requests that memorials be made to Osage City ministries, sent in care of VanArsdale Funeral Chapel, 107 N. Sixth St., Osage City, KS 66523. Condolences can be left at vanarsdalefs.com.